Not all of are going to know every one of these (guessing here). Lets keep up the IMDB links! Dangit Micha! That was my next. Well picked. 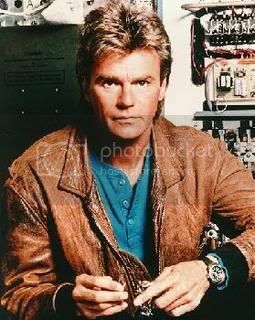 Nice picks with MASH and MacGyver. I like the addition of photos! Lets all do that too! Only 2 more episodes of Scrubs left, ever! A short series but I really enjoyed it. As for scrubs, it is OK, but can get annoying. I never saw it on TV but Sally bought me the box set a couple of years ago. Well worth it. BoB is the best mini-series I have ever seen.